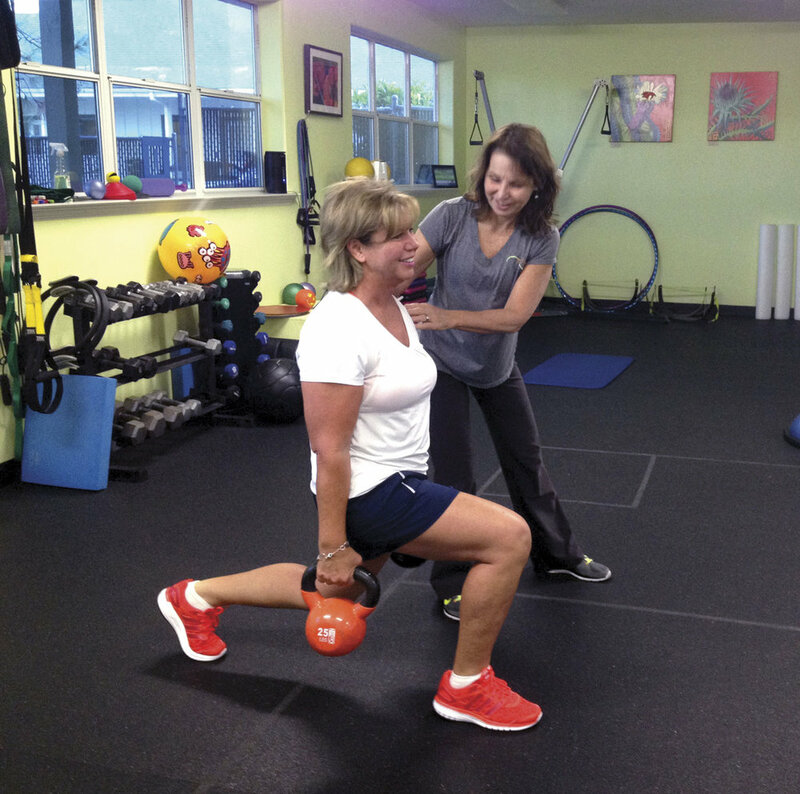 Heart pumping, action packed, small group classes with a personal touch! 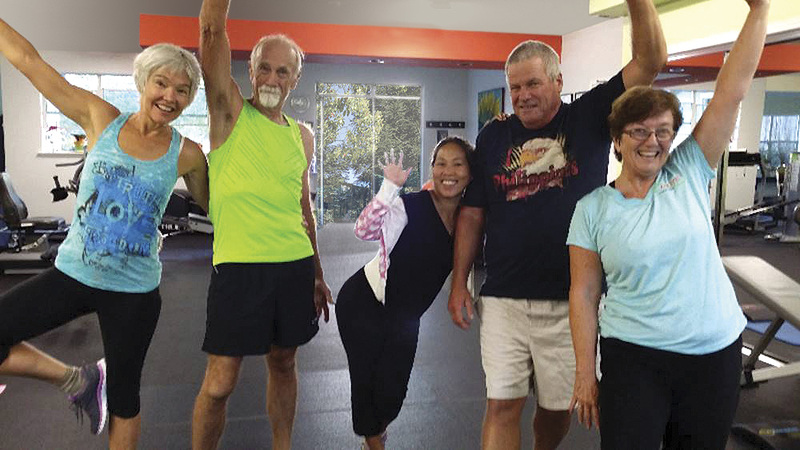 Whether your goals are to drop a few pounds, increase your energy, reduce stress, or build your self-esteem, our classes will take you there. Our circuit style classes deliver a full body workout including strength, balance, flexibility and cardio in a fun, non-competitive atmosphere. Classes are limited to 10 people to maintain a safe and personal environment. They are fun, and filled with camaraderie! We encourage you to start with an Intro Session or two. Taught by Katie Carter mindful postures with emphasis on relaxation. To schedule a Yoga Class, contact Katie at 530-913-2463. Taught by Geri Campbell - High Intensity Interval Training. 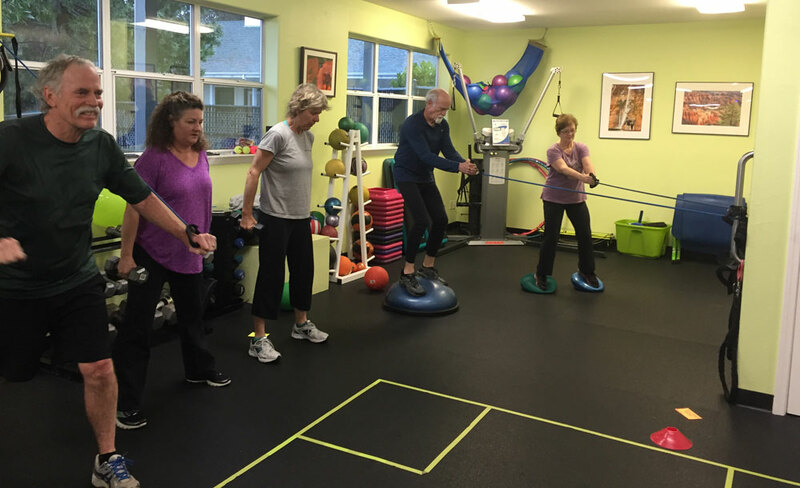 To schedule a HIIT class, contact Geri at 530-575-5689.